Weekend Theatre Breaks in London make for a perfect short break. Every weekend London comes alive. The commuters go home and the city looks to entertain its visitors. If you are lucky enough to be able to spare the time, come down for the whole weekend. 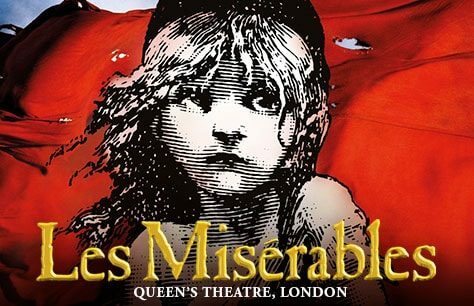 If you have always dreamt of seeing a West End show then you will know that there is nothing more special than heading to London on a Saturday morning, checking into your hotel and exploring the city before you change for pre-theatre dinner and an evening in London’s famous theatreland. Start your dream weekend theatre break here – we have a great range of availability for all West End theatres to make the perfect weekend break. You can check in from 2pm on Friday, giving you time to enjoy the hotels facilities or, as you have just arrived in one of the greatest cities of the world, get out and spend your weekend in London exploring the city, taking in an attraction or two, enjoying a great pre-theatre meal of course going to the theatre. After all that wake up on Saturday and Sunday mornings to a delicious breakfast – a great way to start another day of sight-seeing and shopping. As well as the theatre there is always something new to do in London and my bet is that there is a lot of old stuff that you haven’t done too – and a lot of it is free, so it needn’t cost an arm and a leg! If you want top leave your time in London free, just book your accommodation and travel with our special London Rail Breaks. Save money and stay in one of London’s Mystery Hotels – if you just need accommodation, we have chosen a range of central hotels to give you an extra special discount… too good to promote! The ULTIMATE London Break – experience our 4-attraction London break – visit The London Eye, Madame Tussauds, London Dungeon and the London Aquarium all in one fun-packed weekend. Extra Nights: If you would rather spend all weekend in London, why not book an extra night – add an extra night to the booking process and discover a complete range of great accommodation deals. Best Seats: Whey not make sure that you have the best view in the house. 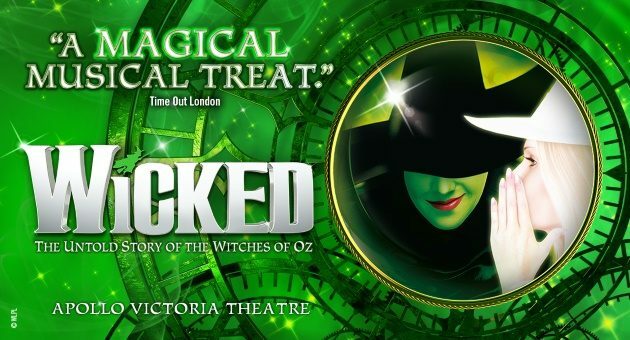 Upgrade your seats to best available seats to make sure that you weekend break in London has a truly unforgetable highlight. Extras: Book your travel for your short break in London at the same time. By default our breaks let you make your own way to London, but why not let the train take the strain. Book your rail travel at the same time as your London weekend break and benefit from some great savings! Or we can arrange flights for you too! we went to see Blood Brothers last week and have just found out that it was closing (!!!) so we are giving this rave review to persuade others to go and see it quickly! The cast were brilliant both when they were being young kids and then later in life. The music is much better than that Loyd webber sort of stuff and the story is excellent - although I am biased because I once met Willy Russell and yes even though that is the case this was the first time I ever saw the show! Great hotel nearby - the Kenilworth - meant that we had an all round great weekend: thanks! I would like to write a review on “Theatre Breaks”. My husband and I wanted to celebrate our first wedding aniversary by spending a weekend in London and going to see a show. We went to see “Oliver” [now on tour - ed] which was a great show and we had really good seats. I booked our theatre break by telephone and chose to stay at “The Grosvenor Hotel” Park Lane. When we arrived at the hotel we found we our room been upgraded….What a lovely surprise…would definately book with “Theatre Breaks” again..